Pigeon Forge Cabin Rentals, Gatlinburg Cabin Rentals, Dollywood, Dixie Stampede, Smoky Mountain National Park, Sevierville Convention Center, Log Cabins, Cabin Rentals, Vacation Cabins, Vacation Packages. 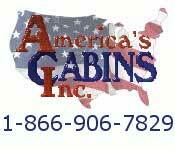 America's Cabins, Inc. offers premium cabins located in Gatlinburg, Pigeon Forge, Sevierville and Wears Valley, TN at affordable prices. Stay in one of our log cabins or chalets and enjoy relaxing hot tubs, bubbling Jacuzzi's, game tables, magnificent mountain views, swimming pool access., indoor and outdoor fireplaces and all the amenities you could ask for. Let us make your dream a reality! We look forward to your stay.